This group, as a sub-committee of the Association, seeks to identify issues, advocates for local interests, and assists wherever possible to maintain and protect the habitat. We also have monthly working bees on the foreshore, working in partnership with the Community nature Conservation Program. Volunteers are most welcome. 80% of the current membership list Environment as an area of concern. People are passionate about protecting our precious beachside environment, along with the small areas of open space in our 300 hectare suburb. Protection of the remaining coastal vegetation and our 1.8 km of marine coastline is critical, and many organizations are involved. See this page for information on all environment and conservation groups who work in Alex. Surfriders have been following up concerns re Gross Pollutant Traps in Alex, and in response to their queries Council have advised that the older style GPT’s with netting at the outfall have changed, and been replaced with inpit devices which do not have the visibility of older systems. GPT’s aim to clean the pollutants out of stormwater before it travels to the ocean. Regular maintenance is conducted, along a recent audit has confirmed they are up to standard. 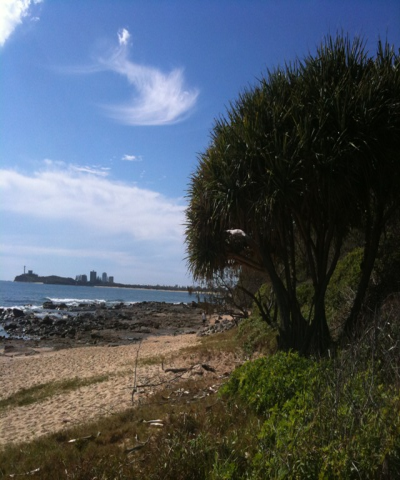 Visit the Sunshine Coast Council’s mapping website to locate all GPT’s in the area. 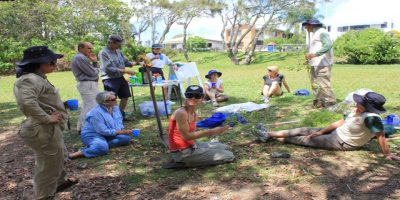 A group of volunteers for the old Beach Protection Authority collected beach profile data for the Maroochydore-Alex region. We are trying to find an access to this information, and would appreciate anyone with knowledge of this to contact us. Mario Barbagello (Chair), Lindsay Hope, Jane Minor, Josie Ryan. 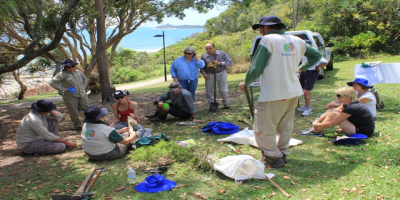 The Association, in partnership with the SCC Community Nature Conservation Program, established a working group called the ALEX FORESHORE CONSERVATION GROUP who work with Council on monthly working bees to restore the coastal environment. 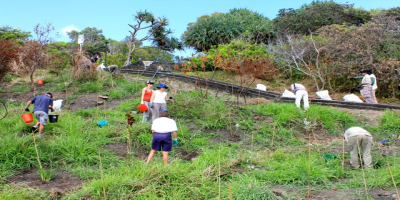 For the past three years this group has worked on re-establishing a burnt out area near beach entrance 167 – by the Mandin St steps. 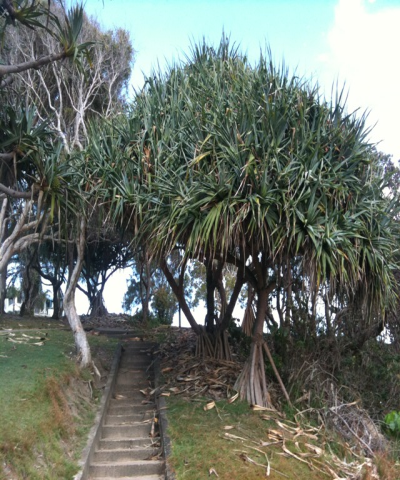 With a focus on re-vegetation cover and planting of Pandanus to complement the beautiful beachside tree, the Association has applied to re-name this area Pandnaus Cove in honour of the 100 Pandanus trees planted in his aarea. Additionally the group has contributed to re-vegetation of the sand replenished dunes along the beachfront north of the Surf Club in 2013, 2014 and 2015. Our group also works in association with Surfriders who look after part of this coast. Proposed a baordwalk be established along the beachfront joining Alex and Maroochydore beaches in front of the caravan park. This proposal needs serious funding and is being considered by Council. Focus on a scientific approach to Coastal Change/Management Issues and co-ordinate education and local information sessions. Council has conducted two serious beach focused seminars in 2014 and 2015 at our suggestion and here at the links to the papers presented. 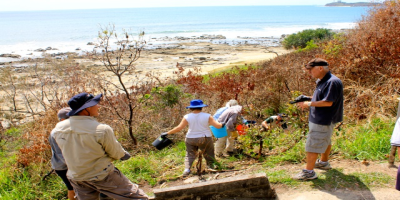 A number of other groups also work in our forests and foreshore and we fully support the work they do in and around Alex. SURFRIDERS – This non-profit organization is dedicated to the protection of waves and beaches through Conservation, Advocacy, Research and Education (CARE). They work on a number of projects from coastal erosion issues, beach access, marine debris clean-ups and environmental monitoring. 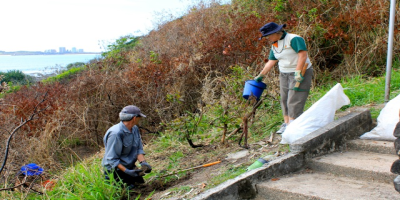 THE MAL CLUB – conduct an annual clean up of the area around the Bluff. 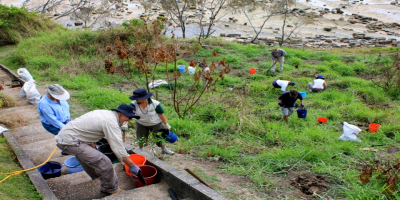 THE ALEXANDRA HEADLAND ROTARY CLUB – conduct the annual Clean Up Australia Day rubbish campaign. Come help them next year!